 Interested in becoming a Big Brother or Big Sister? It’s truly a fun, life-changing experience that gives the invaluable gift of your friendship. We believe that all children should have the opportunity to succeed in life and live up to their full potential. Some kids simply need someone to ignite the potential that lives inside. That’s where you come in! We’re always looking for people eager to positively impact a child and improve their community at the same time. For a few hours a month, you can give a Little the invaluable gift of your friendship. By simply changing their perspective of what the world can offer, you can literally start changing their life. Play a game. Enjoy a Jacksonville Jaguars’ game. Help with homework. Just as your options are unlimited, so is your Little’s potential. To see the big impact we made last year, check out our 2017-18 impact report here. A Lunch & Learn is a FREE opportunity for you and your coworkers to enjoy a casual lunch at your office while learning about Big Brothers Big Sisters and the many different ways you can get involved! Volunteer opportunities, like the ones offered by BBBS, allow employees to work together to build camaraderie, foster relationships and feel good about giving back to their community. Bonus: This opportunity doesn’t have to take place over the lunch hour! You can schedule a breakfast, snack break, or during an already scheduled meeting for us to come speak to your company. Meeting times can be adjusted but normally last anywhere from 30-60 minutes. Being a Big Brother or Big Sister in Badges is one of the most enjoyable things you’ll ever do, not to mention, one of the most fulfilling. You have the opportunity to help shape a child’s future for the better by molding their character, preparing them for life, and empowering them to achieve. And the best part is- we’re building stronger communities together! Community-Based allows Bigs and Littles to spend time in the community doing fun and interactive activities, working toward personal achievement and positive character development. Are you ready to empower a youth to reach their full potential? Beyond School Walls (BSW) connects mentors from a local business with Duval County Public Schools career academy students focused on the same targeted industry. Partnerships like these enrich the education and preparation of the career academy students by providing meaningful and relevant workplace experiences. Interested in participating in workplace mentoring? Wendy and Ta’Nae have been matched almost eight years! They are a joyful match and always seem to have a good time with one another, looking for teachable moments along the way. They enjoy grabbing breakfast together as well as attending many of the BBBS activities such as the recent Big Little Run and the End of the Year Picnic at JU (pictured). Wendy has been helping Ta’Nae get ready for her upcoming decisions relating to graduation and college! Wendy has a hard-working, giving, and kind personality and it rubs off on Ta’Nae. Though this will be their final year in BBBS, they have most definitely established a life-long friendship! Matthew and Jeff have been matched for over 2.5 years & have spent the past couple of years doing all kinds of new and fun activities together! Matthew and Jeff enjoy attending sporting events and BBBS activities together and have done everything from the BBBS educational boat ride, to checking out the animals at the White Harvest Farms Event! Matthew is an avid soccer player and Jeff enjoys supporting Matthew in this by attending some of his soccer games. Congratulations Matthew and Jeff on a wonderful friendship! Amaya & Ashley have become fast friends over the past 6 months and enjoy trying new things together! Ashley loves attending Amaya’s violin concerts and they have already gone to the Seawalk music festival, the movies, several BBBS community activities and the BBBS Little BIG Run 5k. Amaya and Ashley both share a love for art and hope to attend art festivals, symphonies and different museums in the future. They are sure to have numerous fun activities in the future and we can’t wait to hear about them! Congratulations to Ashley and Amaya on a great friendship!